The ideal solution for thorough mixing and fast vortexing with high performance in terms of speed, reliability and safety. Chemically resistant and durable, CappRondo mini vortex mixer has a hefty design with an aluminum die cast base. CappRondo laboratory mini vortexer also is equipped with an adjustable speed setting reaching up to 4500 rpm for application flexibility. 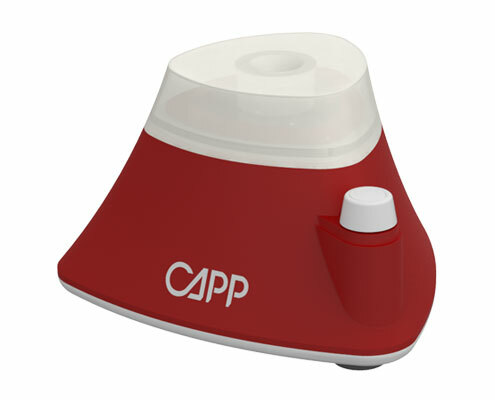 CappRondo mini vortex mixer uses orbital motion to vortex samples or solutions and is highly touch sensitive. CappRondo vortexer is a good fit for using with tubes of maximum diameter of 30mm. To maintain maintenance free operation, CappRondo vortexer is equipped with a brushless DC motor. This type of motor is a great fit for applications that require longer vortexing. CappRondo vortex mixer only takes up small part of your benchtop with its small footprint. The upper part of Capp vortex mixer is made of a durable material, ensuring long and reliable operation. The variable speed of Capp vortexer can be adjusted simply by turning the speed control button. Microprocessor controlled, CappRondo vortex mixer will deliver the maximum speed even under varying load conditions. CappRondo laboratory vortexer has a well-balanced design and is supplied with three anti-sliding feet to help the instrument to remain stable on the bench. The inbuilt counter balance system creates maximum vortexing action and minimizes the noise and excessive vibration. CappRondo mini vortexer is covered by a 2 years warranty. 4.5mm orbital motion and speed of up to 4500 RPM to instantly vortex tubes and vials up to 30mm diameter. Highly touch sensitive switch ensuring Real-time mixing. Built-in counter balance system creates maximum vortexing action, while minimizing noise and excessive vibration. Low-profile with small footprint ideal for use on lab benches. 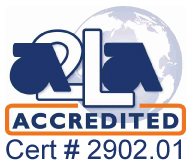 Two years manufacturer warranty for parts and labor. Sparkless Brushless DC motor adopted for safety, quick acceleration, and low maintenance. Ideal for Cold Rooms and Incubators. Maintains set speed between 4-40°C.